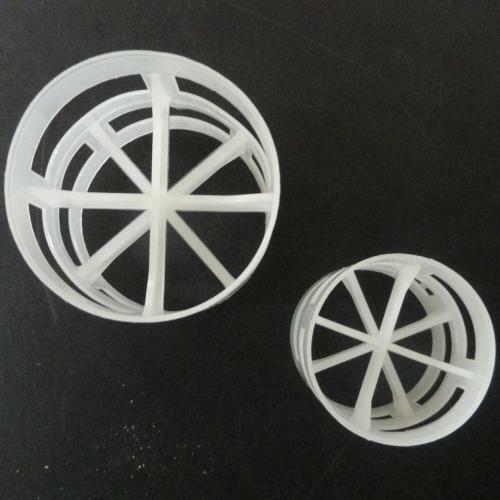 We offer our clients with a qualitative range of Polypropylene Pall Rings (Up to 4 Inch). These are available in sizes up to 4 inches and are manufactured using quality tested components. Our range complies with all the required quality standards of the industry and is precisely manufactured using the most advanced production techniques. These are also offered to clients in different specifications as per their requirements. We have close to two decades of experience in this industry and are one of the established Manufacturers and Exporters of HDPE Pipes, HDPE Fittings, Spiral Tanks and much more. These products are ideal for acquiring excellent chemical storage solutions and also in a production of different equipment. All these products are manufactured in our advanced manufacturing units located at Ahmedabad and Kheda in Gujarat (India). Our manufacturing units enable us to provide clients with technologically superior Industrial Plastics Products.